This week, we’re trying something new in the Games forum on the new-look SMITHTeens and we wanted to invite those of you with teens in your life to check it out: It’s a book giveaway with a six-word twist! To celebrate the release of The Drama Years: Real Girls Talk About Surviving Middle School: Bullies, Brands, Body Image, and More, an exploration of middle school trials and tribulations as told by girls who lived it, we’re inviting teens to share their sixes on the subject. Here’s the prompt to pass around: What six words best describe your middle school experience? Was there drama? Did you feel like you created the drama? 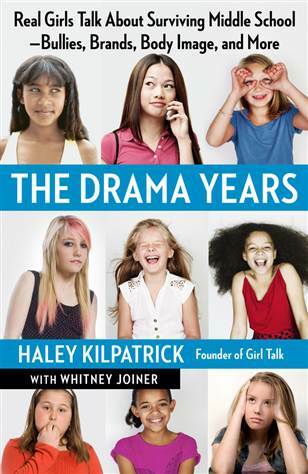 Tell us in the comments of this forum post on SMITHTeens by Sunday, April 21 (11:59 pm est), and you could win a free copy of The Drama Years by Haley Kilpatrick with Whitney Joiner. We’ll be giving away six books total and also featuring a handful on SMITH. 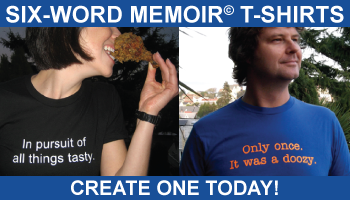 Check out the great drama-centric memoirs above for inspiration. Chink honor student, designer welfare girl. Too skinny, boys always tease me. Fought and cried, but still friends. Bad memories forgotten; good will last. Drama’s always around, but soon forgotten. Drama only made the experience better. Drama can ruin great friendships. I leave junior high much wiser. Gossip always tears people down. Drama makes an eternal footprint. Zara beguiles authorities reading in tree. Drama? It don’t exist here now. No, homeschool middle school’s not perfect.